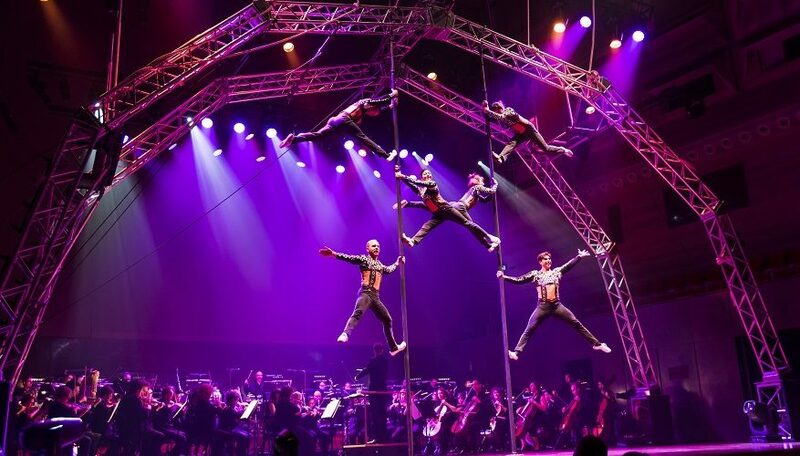 The concept of Circus Oz performing with the West Australian Symphony Orchestra is as brilliant as it is intriguing. 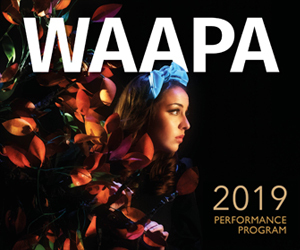 Watching two seemingly separate art forms collide and interact not only puts a new spin on each discipline, but it can potentially introduce new audiences to each art form (such as myself; a classical music lover who hadn’t been to the circus before). Throughout the performance the collision of classical music and death-defying circus acts was an awe-inspiring spectacle. Nigel Westlake’s Flying Dream suite was the perfect accompaniment to the ascents and descents of the performers, who scaled ropes and used them to soar above the orchestra. Similarly, Saint-Saëns’ Danse Macabre suited the terrifying trapeze display, the dangerous nature of which drew gasps and cries from the audience. Semra Lee-Smith’s devilish violin solo with its perfectly tuned tritones was just as exciting as the visual spectacle. The evening was also filled with mind-boggling juggling, some terrifying unicycle riding that involved more people than wheels, and plenty of acrobatics to keep the eyes of the audience entertained. As a classical musician and a regular concertgoer, the frequent audience applause and cries that interrupted the performances was a new and interesting experience for me. How freeing to clap whenever one feels like it! However, the cries of the audience when a trick nearly went wrong was uncomfortable; how awful for the performers to know that the audience not only witnessed but felt the need to draw attention to a momentary stumble. I couldn’t imagine this translating into an orchestral context; imagine playing a wrong note, only to have the audience gasp at your mistake! Whilst the orchestra may not have been the focal point for the audience, the music was just as integral to the evening as the circus acts on display. However, it would be reasonable to assume that Circus Oz may have been distracting for the orchestra, as questionable intonation pervaded several wind chords, and there were a few moments where the brass playing wasn’t as clean as usual. Nevertheless, WASO and guest conductor Benjamin Northey did a fantastic job of supporting Circus Oz, always maintaining excellent rhythmic clarity and cohesion. The orchestra may have always been in time, but there were moments when the circus performers did not align in their manoeuvres. Perhaps this is informed by my musical and rhythmic training, but I found the moments where two performers were performing the same acts side by side but not in an entirely synchronised manner, quite distracting. However, this may be me misinterpreting the aim of the artform; synchronisation and unity may be valued more in music than in the circus arts. Circus Oz and WASO was a fantastic visual and aural feast for a diverse audience of all ages and backgrounds. Though some of the numbers may have been a bit longer than necessary (and, perhaps the number of numbers too numerous), the evening was unlike anything that I had experienced in the Perth Concert Hall. Pictured top L-R: Kyle Raftery, Sam Aldham, Tania Cervantes Chamorro, Alyssa Moore, Josie Wardrope, Robbie Curtis. Photo Rob Blackburn.